KSIS Class Scheduler training is now available. Sessions are designed for employees new to the Class Scheduler process as well as refreshers for employees who have previously updated class schedules. Friday, March 4, 1:30-3 p.m.
Monday, March 7, 1-2:30 p.m. Registration through HRIS is required. See Using HRIS to register for classes. If the current dates and times do not match your schedule, contact Fred Darkow at 532-3138 or fdarkow@ksu.edu for more options. Training sessions are now available for the fall for Master Extract Reporting in KSIS. You must have permissions set up for Master Extract Reporting in KSIS before you can take this class. Did you know you can transfer final grades from K-State Online to iSIS? Did you know it is possible to have a student in your K-State Online roster and NOT in your iSIS roster? Today, March 9, is the last day for K-State faculty/staff to register for the Teaching, Learning, and Technology Showcase 10 a.m.-1:30 p.m. Tuesday, March 13, in the K-State Student Union Ballroom. Come and join the event, and stay for a light lunch. Prize drawings will be held throughout the showcase. Registration for the event is required. If you haven’t previously registered for an event through the Division of Continuing Education, you must create an account using your email address and setting a password (NOT your eID password). 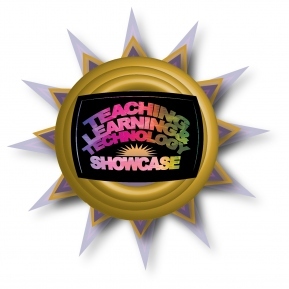 Showcase details are on the Teaching, Learning, and Technology Showcase blog. Mark your calendars for the Teaching, Learning, and Technology Showcase 10 a.m.-1:30 p.m. Tuesday, March 13, in the K-State Student Union Ballroom. There will be faculty presentations, faculty demonstrations, and vendor exhibits. Check the IT News blog periodically for more details that will be coming soon. For those who missed the All about iPads: IDT Roundtable + iPad user meeting Nov. 15, video recordings of the event (4 segments, 30 minutes each) are now on the IDT Roundtable’s iPad for Beginners webpage. Presentations included many iPad apps, tools, and processes listed below, interspersed with questions/answers and discussion by the 60 K-Staters who attended. The K-State iPad User Group recently created by Mary Hammel, College of Education, is another resource for learning and sharing about iPads, apps, accessories, and issues. 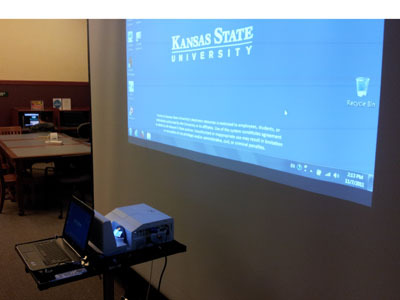 The Information Technology Assistance Center has set up a Dell “ultra short throw” projector as a temporary demonstration model for faculty/staff to see the possibilities of this new technology. The Dell S500WI Interactive Ultra Short Throw Projector brings a new kind of interaction to the classroom. 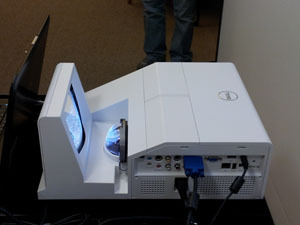 iTAC encourages faculty/staff to come by and give this projector a test drive. The unit is available through Friday, Nov. 18, in the hallway next to the Media Development Center. No reservations needed; just walk in and ask the iTAC receptionist in Hale 214 for the interactive pen that works with the unit. Questions should be sent to Ernie Perez, ern@k-state.edu.